➔ Step 1: Click on the “amazon” logo above or from www.friendsofcutler.com. ➔ Step 2: Shop as you normally would when the amazon.com window opens. 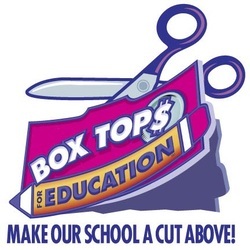 ➔ Step 1: Trim the Box Top labels from participating products. ➔ Step 2: Collect and store them in a Ziploc (or the like) bag. accumulating, please separate into bags of 50, and write “50” on the bag). ➔ Step 4: Send to school with your child or deposit in display box, located in Cutler Gallery. As you do your weekly grocery shopping with your registered Stop & Shop card, a percentage of your purchases will benefit our school directly. *Don’t forget to add your Stop & Shop Card to your Peapod orders! ➔ Step 1: Visit www.stopandshop.com. ➔ Step 2: Click on "Savings". ➔ Step 3: Click on "Rewards and Programs"
➔ Step 4: Scroll down to “Other Ways to Save". ➔ Step 6: Then choose “Select Schools”. ➔ Step 7: Type in School ID Number 09092​. Whether you are doing a quick run for one or two items or a full shop, Cutler will earn points to purchase school supplies and equipment via the“Tapes for Education” program. Each dollar equals one point! No receipt is too small! Last year, we collected 41,656 points and redeemed them for equipment to use in our Learning Commons! ➔ Step 1: Save and collect your receipts, regardless of totals. ➔ Step 2: Place them in an envelope. ➔ Step 3: Label with “CROSBY’S/HENRY'S RECEIPTS,” your child’ name, and classroom teacher’s name.